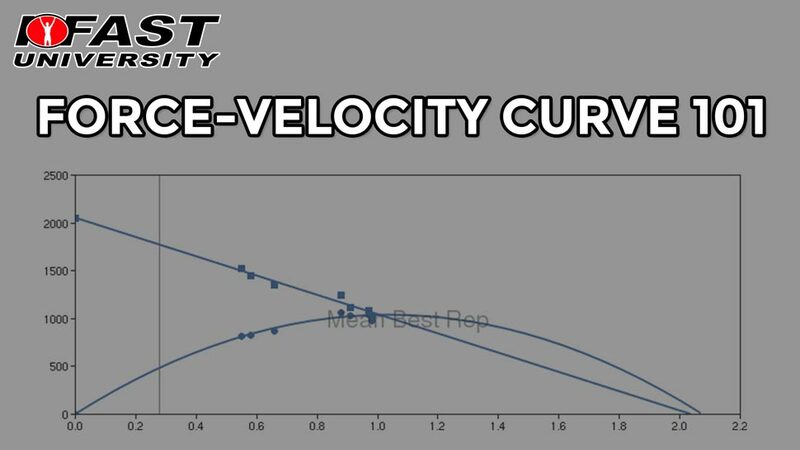 The force-velocity curve is a cornerstone of training science. This presentation gets you started on your journey into the training science world. What is the force velocity curve? These questions are answered for you so you can be on your way to understanding the neuromuscular nature of training. We use GymAware to measure lifting velocities. To read more in depth about the force-velocity curve, you can check out resources like Supertaining, The Physiology of Training For High Performance and Science and Practice of Strength Training. How come the low velocities are called the power zone when mathematically the middle zones produce more power( ie: the area under the graph is greater)? Generally speaking, the power zones are strength speed and speed strength. In velocities this ranges from 0.75 to 1.3 meters/sec. These zones are the middle zones. However, each individual has a bias in the direction of speed dominant power or force dominant power. This skews the bulk of the area under of the curve to the left or right depending on which bias they have. Speed would go to the R and force dominant to the L.
Does this answer your question fully? Also, is there something specific from the video you have thoughts or questions on? So, why have the particular zones been drawn where they are? Is it because they correspond with particular sports? John…I think we need to clarify that this curve in the video is a force velocity curve, not a power curve. It will indicate how much force was produced at specific velocities. The power curve is often laid over the FV curve and will tell you where your peak power is produced. While the line between each zone isn’t a concrete one, each zone trains different characteristics and gets different adaptations. That is one way the zones are divided and different from each other. Research has shown us that certain velocities, corresponding with % of 1RM, train specific characteristics, therefore creating the divide. The accepted strength zones are the ones I drew on the curve. Particular sports and positions in sports operate in different strength zones. This link will show you what a power curve laid over a FV line looks like. Its a bell curve and the highest point is where the peak power occurs. This seems to be the theoretical underpinning of Verkhoshansky s theory of dynamic corespondence ? 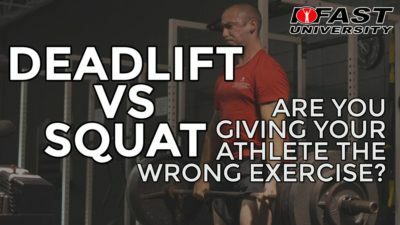 Some of the weightlifting exercises that athletes do in the gym should be done at the same speed and using the same regime of muscular work as the athletes sport itself. Thus there will be a suitable transfer of force from the gym to the sport itself. Athletes still need to do weights outside this specific zone but mostly they should complement the velocity specific training ? 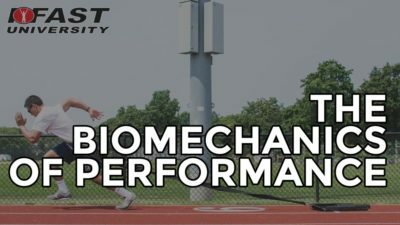 If an athlete needs to perform at a certain velocity to be successful, our job as performance coaches to help them be able to attain that velocity then be able to repeat it in the manner their sport demands. However, that doesn’t mean the training will be at the velocity. For example, implementing a force production (strength) block of training can increase peak force capabilities which then increases acceleration in a movement which then results in greater peak velocity. So it becomes of the utmost importance that we understand the mechanisms of performance and the adaptations associated with the training stimulus we give our athletes. Building this out…I would absolutely progress towards faster velocities if I’m training an athlete in a speed based sport like basketball. 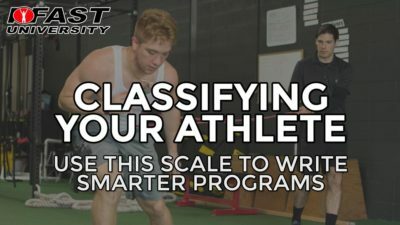 Just know there are many sub qualities that make up a peak velocity so addressing them in your training may be necessary and require you to train at different velocities than the one you play at in your sport. With all that said…yes, spending time training at the in game velocity is absolutely helpful…if you can match that in game velocity in training. Typically competition peak measurements can be higher because the competition aspect of a game increases intensity. Really interesting thanks ty , food for thought indeed.